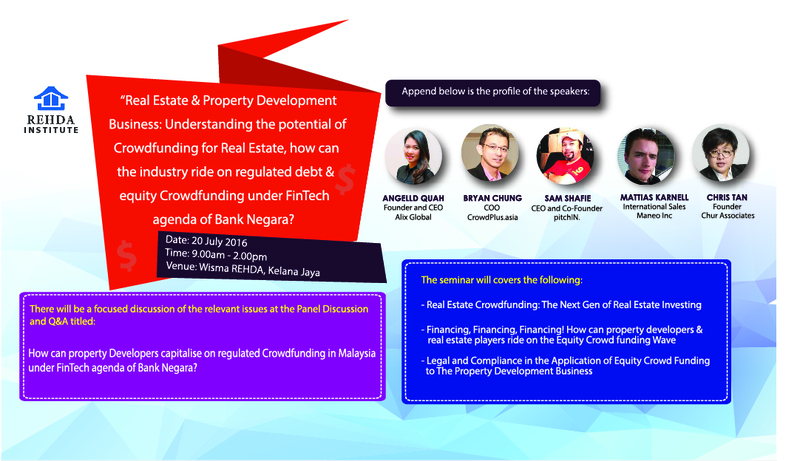 REHDA | Real Estate & Property Development Business: Understanding the potential of Crowdfunding for Real Estate, how can the industry ride on regulated debt & equity Crowdfunding under FinTech agenda of Bank Negara? 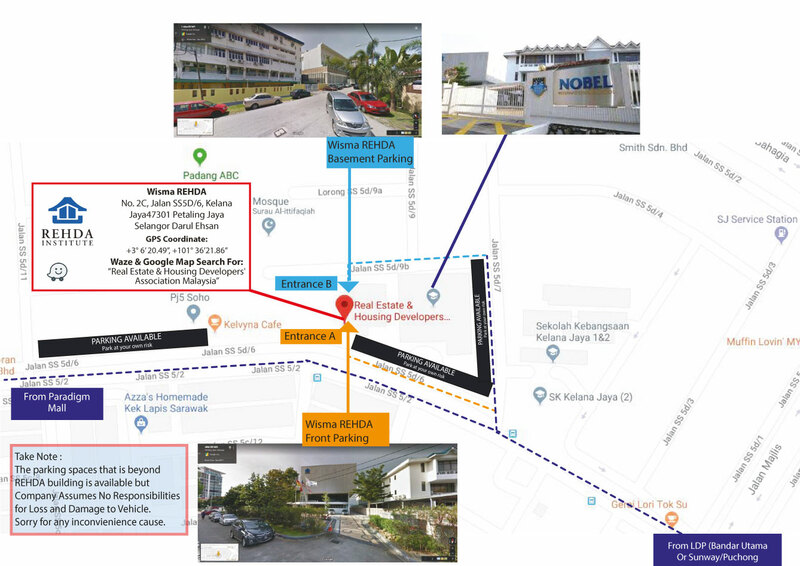 Real Estate & Property Development Business: Understanding the potential of Crowdfunding for Real Estate, how can the industry ride on regulated debt & equity Crowdfunding under FinTech agenda of Bank Negara? Understanding the potential of Crowdfunding for Real Estate, how can the industry ride on regulated debt & equity Crowdfunding under FinTech agenda of Bank Negara? 3 out of 6 companies licensed by the Securities Commission of Malaysia for Crowdfunding will be speaking at this REHDA Institute event. Financing and fund raising. How can property developers & real estate players ride on the Equity Crowd funding Wave? 1) Ms. Angelld Quah is the Founder and CEO of Alix Global as well as co-founder of FundedByMe Malaysia. 2) Mr. Bryan Chung is the COO of CrowdPlus.asia, one of the 6 SC-licensed equity crowd funding platform operators in Malaysia. 3) Mr. Sam Shafie is the CEO and Co-Founder of pitchIN. Sam is legally trained, having served as a Deputy Public Prosecutor in the Attorney-General Chambers of Malaysia. 5) Invited to be confirmed: Mr. Mattias Karnell is an international sales of Maneo Inc, one of the largest social lending (loan-based crowdfunding) company in Japan.